All ye faithful early Christmas adopters — the ones who have been playing holiday songs for the past 30 days — can now open the seasonal floodgates. It’s officially December, so feel free to hark the heralds to your heart’s content. With the ailing economy, ’tis might be a season where you choose to spend silent (cheaper) nights with that special someone away in a manger, but I suggest you jingle bell rock your way out the door and partake in some of the many festive holiday events going on this week. Otherwise, it might not begin to feel like Christmas. Log on to nbcchicago.com to see the events for this week. Recently, I’ve been attending and blogging about Old Town’s Afrofolk concert series. I had to attend one more. This past Wednesday night, I was seduced by Bossa Nova, a form of Brazilian music invented approximately fifty years ago which in Portuguese means “New Trend.” Chicago has always embraced this type of music, as evidenced during Millennium Park’s annual “Made in Chicago: World Class Jazz” series, which ran earlier this summer. I don’t speak Portuguese, but I felt the music, the emotion, the passion, just the same. There were slow and sensuous songs. There were songs that were fast, upbeat and colorful. It felt like cool, latin jazz and I was the “Girl From Ipanema” sitting in a small, dark club. What a great lead in to a relaxing, Thanksgiving holiday. Old Town concludes the Wednesday night concert series in mid-December. If you are just learning about this and can’t make it in December because of the busy holiday season, keep in mind that Old Town has many concerts planned for 2009! Tea has been a long tradition at the Drake Hotel, Chicago, though not always in the fashion that it is today. The Palm Court began serving Tea during the holiday season of 1982 and dignitaries the likes of the late Princess of Wales, Princess Diana, Hilary Clinton have sipped and supped here since. In 1958, Queen Elizabeth enjoyed tea at the Drake. This was a historical moment not only for the Drake, but also for Chicago. In the 1970’s, the Palm Court served tea to her majesty the Empress of Japan. The uniqueness of the beauty of the room centers around a gorgeous limestone fountain with a giant urn as its center motif dating 275 years old, this French bronze place was introduced in the room by designer David Williams. Most importantly, the ambiance of this afternoon affair is greatly enhanced by the live harp music performed 365 days a year by our musicians dressed in classical evening gown attire. The Palm Court is available for special occasions and private functions. Afternoon Tea takes place daily in our traditional Tea Lobby featuring live harp music performed 365 days a year . 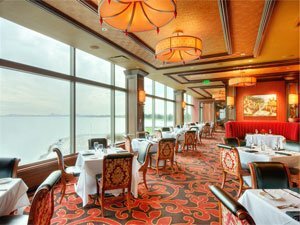 There are several seatings per day from 1:00 pm to 5:00 pm, each last approximately an hour and a half and reservations are recommended. Elegant, cozy bar taking the best of wines and champagnes by the glass. Palm Court is a pre-dinner meeting place, or it could be a meeting place for drinks after work. Food will also be offered at the Palm Court, with a menu comprising of soups, salads, sandwiches and sweet selections. Also, a large selection of imported beers, spirits and cocktails made with premium mixers. is featured during tea time. weekends – 1:00pm to 5:00pm. Get in the spirit of the holidays at the Palm Court in Chicago’s Drake Hotel. For more information, visit their website by clicking here. What’s the difference between gelato and ice cream? Gelato is just Italian for ice cream, right? Wrong. Unlike ice cream, gelato is made from milk and is churned slower to help reduce air content. This results in a dense, creamy, indulgent dessert that is lower in calories. Nestled among a group of boutique shops in Forest Park, Paciugo is the perfect place to set down those shopping bags and indulge in a creamy taste of heaven. Paul M. Banks a.k.a. The Sports Bank By demolishing their bitter rival, the University of Illinois, on Saturday the Wildcats earned a No. 20 ranking — their highest of the season — in this week’s USA Today Coaches’ poll. The Cats concluded the regular season by becoming just the fifth team in school history to win nine games in a season. Should they win their bowl game (destination announced on Dec. 7th), it will be their first postseason victory since 1949; and the ten win season would join the 1995 Rose Bowl team as the only squads in program history ever to do so. With no real individual statistical standouts, on offense at least, it speaks volumes about Head Coach Pat Fitzgerald’s stressing of defense and playing collectively. Two team statistics certainly catch your eye however; NU’s current 127.7 rushing yards allowed per game is the best single-season average in school history and the Cats were first in the Big Ten (10th nationally) in sacks. They were also 24th out of 117 teams nationwide in scoring defense. A big reason for that is defensive end Corey Wootton, whose 9 sacks and 15 tackles for loss helped him earn a first-team All-Big Ten coaches selection. 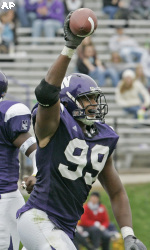 “Corey has always been a tremendously talented member of our program, and this honor is well deserved,” head coach (and former two-time National defensive player of the year) Pat Fitzgerald said. “He came to camp this year with the right attitude and he has done a great job in his preparation all season long. He may be our only first-team All-Big Ten guy this year, but I think we have a first-team All-Big Ten football team.” At last week’s press conference Fitz also added, “I have not seen Corey take one play off in practice or in games this year, his efforts on top of his technique and fundamentals have been outstanding.” First year NU defensive coordinator Mike Hankwitz has also done a tremendous job developing Corey. Possibly validating Fitzgerald’s All-Big Ten team claim, eight additional players were named honorable mention selections: John Gill, Keegan Kennedy, Sherrick McManis (who also finished among national leaders in pass breakups), Eric Peterman, Brad Phillips, Brendan Smith (who combined with Phillips to give the Cats outstanding play at the safety position this year), Tyrell Sutton and Amado Villarreal. The Wildcats final 2008 contest will be a Bowl game to be determined, with the Outback, Alamo or Insight looking the most likely. Reggie Brown, NBC5 Street Team This time of year in Chicago is always a bit daunting. The days are cold and grey, quickly turning to night and people are desperately searching for an escape to a sunny destination. DJ Papa G is a man on a mission to bring the warmth and essence of the islands to Chicago, uniting people through the power and positivity of reggae music. I had a chance to catch up with G at his new Sunday night residency at Sonotheque. Born in Ecuador in 1974, Papa G moved to the US in 1976 at the age of 2 and was raised on the north side of Chicago. Growing up in a city with such a soulful depth of music, G was surrounded by blues, jazz and a myriad of other genres that ultimately led him to discover his love of reggae music. It wasn’t until 1997 while working at UCSB’s campus station KCSB 91.9 FM that G decided that he would begin to share his reggae collection with the world. After an overwhelming reception from listeners, G’s following began to flourish. A few years later in 1999, G moved back to his hometown Chicago and since has been tirelessly steadfast on his duty to “Awaken the sleeping giant of reggae here”. 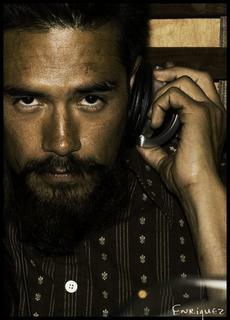 Being no stranger to the Chicago nightlife scene, G possesses an impressive resume performing at over 30 of Chicago’s clubs and bars including The Wild hare, Exedus II, Subterranean, Funky Buddha and a slew of others, G is known as one of the premier reggae DJs in Chicago. G has shared the stage, mixing with some of reggae’s best known artists: Junior Reid, Morgan Heritage, Beenie Man, and Third World to name a few. Being a huge fan of reggae music, it’s hard to find a place where the DJ isn’t just throwing together a mix of music under the genre of reggae but actually creating an energy and vibe that even pulls wallflowers to the dance floor. 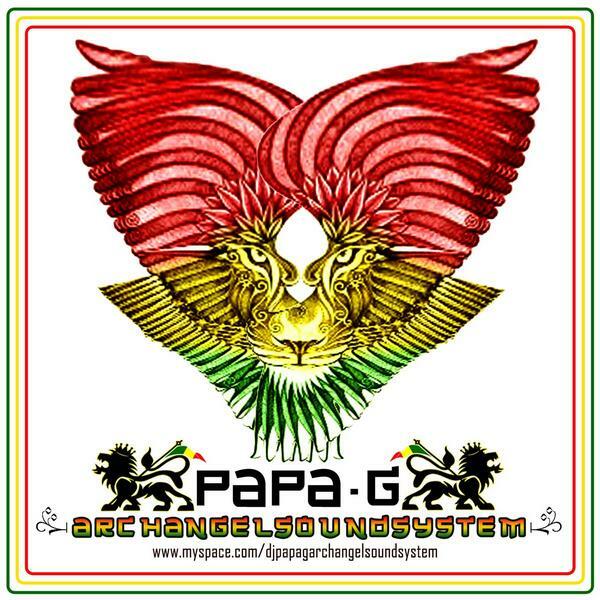 Papa G’s mastery of signal flow, mixing and blending music is truly a testament to his love and dedication to reggae, his personal philosophy and lifestyle based on Rastafarian beliefs. Whether you’re looking for that in town island escape or just simply want to immerse yourself in the essence of Jamaica, head over to Sonotheque for Reggae Sundays with Papa G.
With free cover and drinks specials like $3 Red Stripe bottles and $5 for a Red Stripe with a shot of Sailor Jerry Rum, Sonotheque is adding to the good love vibe. Sonotheque 1444 W Chicago Ave.